Does your church have property to spare? Could your community use a new school? A dance studio? Senior housing? Would your church be a good location for photo sessions or filming? And how could income from such projects help to sustain a congregation’s ministries? 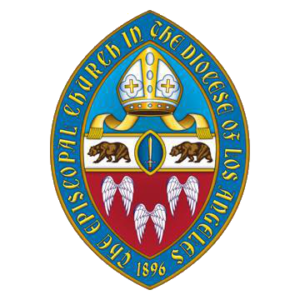 Episcopal Enterprises, a program of the Diocese of Los Angeles, will offer a “Social Enterprise Academy,” a series of monthly classes at which congregational teams will learn how to use their churches’ property, facilities and other assets to increase and fund their ministries. Ensure the teams’ internal mastery in the business development process. The Academy will comprise a series of five six-hour work sessions designed for teams from seven to 10 parishes, missions or ministry centers. All team members will be expected to attend each session. There also will be mandatory homework to do between sessions. Teams will need to invest approximately 120 hours collectively. Once the teams have researched and vetted ideas, the program will move into detailed business planning and the opportunity to present those plans to potential investors. Classes will be held at the Cathedral Center of St. Paul, 840 Echo Park Avenue, 9 a.m. – 3 p.m. on Fridays, May 10, June 14, July 19, Sept. 6 and Oct. 18 (There is no class in August.) Tuition is $5,000 per congregation team, but Bishop John Harvey Taylor has offered to cover tuition cost for mission congregations or ministry centers that would like to participate. Space is limited. Lunch will be included at each session. Session 4 (September 6) – Marketing and Sales Planning: How Will You Find and Keep Customers? The series will conclude with “showcase” rounds at which each team will have eight minutes to pitch its business plan. A panel of experienced social and financial investors will give feedback and rate the presentations on the basis of agreed-upon criteria. Three winners will be selected and invited to present their ventures at a final round, where one winner will be chosen to receive a seed money grant. Leaders include the Rev. Canon Jaime Edwards-Acton, founder of Episcopal Enterprises, rector of St. Stephen’s church, Hollywood, and executive director of Jubilee Consortium; Betsy Densmore, founder and managing director of the Academies for Social Entrepreneurship; and Jan Cohen, lead social enterprise trainer, consultant and coach for the Academies for Social Entrepreneurship. To apply, and for more information, click here.